Growing puppy, what shall we do? So here is a menu for a puppy. As a guideline, you feed about 5-6% of body weight a day. And you can divide that into as many meals a day as you feel right for your puppy. After the puppy finishes a meal I check that the ribs are not being pushed out by their stomach. That would mean that the pup had too much, so you need to feed less amount each time but more times a day. And please remember they are growing very fast so you need to check their weight regularly. 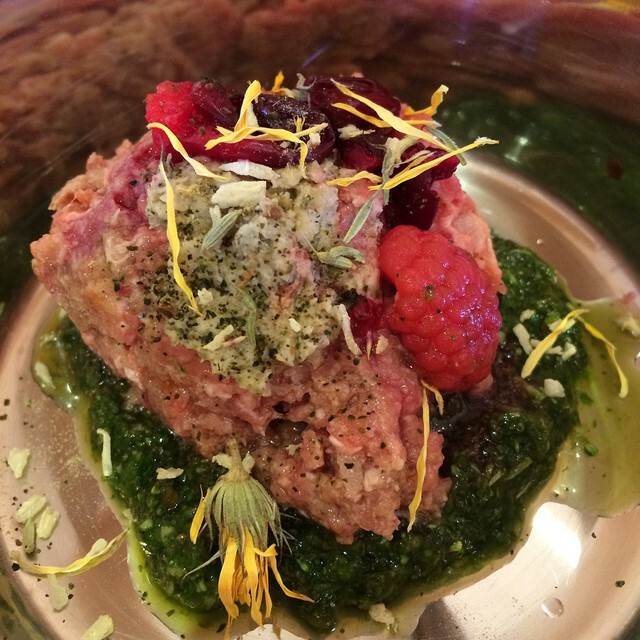 Rabbit mince ( with bone), green smoothie made with kale, french bean, our immune boosting herbal infusion, apple, berry and herbal coconut oil( fennel and kelp) topping.